Believe it or not Greece is primarily a mountainous country with more than 800 larger or smaller mountains, 53 of them with altitude exceeding the 2000m zone. The mountains, which served as natural barriers and boundaries, dictated the character of the country and have always played an important role in the life of Greeks, who incorporated them in their myths and legends as sacred places full of spiritual energy. They become "peaks of identity", tangible and towering symbolic landscapes representing a distinctive set of community and cultural ideals. Our trip starts in Athens and the next day we drive to Litochoro, the village at the base of Mt Olympus. On the list of iconic mountains of the world, Mount Olympus surely has a place. Not only is it a geographically impressive peak, rising straight from the Aegean Sea to a height of 2,918 m, but it's also one of great mythological importance. 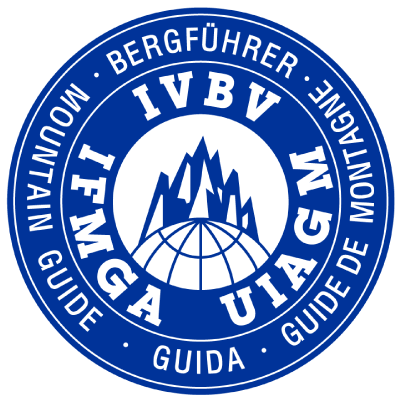 We will spend three days hiking in the mountain wilderness with a benefit of a bed, hot food and good company. 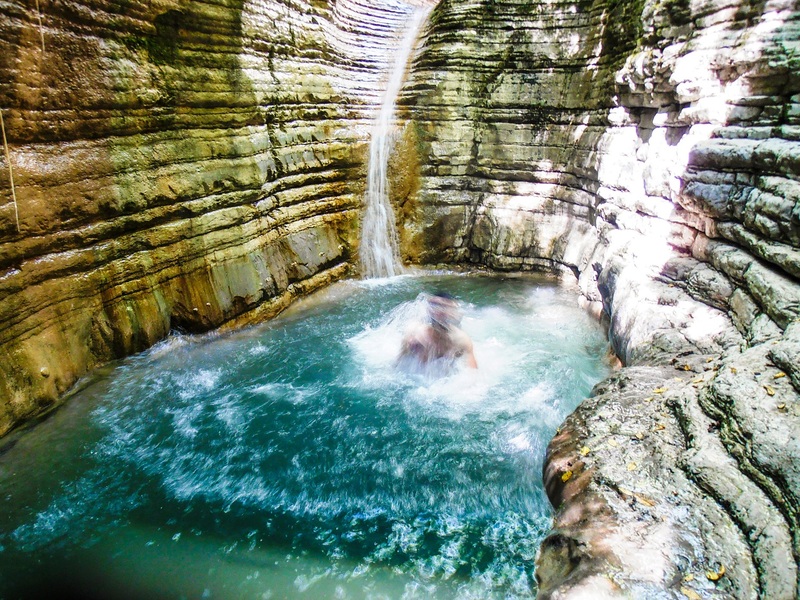 Next, we head towards Zagoria one of the most intriguing regions of Northern Greece, and on the way we will visit Vergina, the royal burial site and the first capital of the Macedonian dynasty. From there we drive to Monodendri, and for the next three days we will hike the trails that connect the bucolic villages of Zagoria. Before heading to Athens for the farewell dinner, we will stop at Ioannina and wander in the cobblestone alleys of the old town. Athens today is a busy Metropolis but it is well-known that the city was the intellectual beacon of the ancient world. The heart of the city is the Acropolis, the most important site in the Western world and as you wander in the surrounding neighborhoods, you have the sense that you walk in the footsteps of the great minds that created democracy, philosophy, theater and more. Tonight we'll have a welcome briefing at 6pm to discuss the trip, followed by a walk in Plaka, one of the oldest neighborhoods of the city, and a festive welcome dinner. 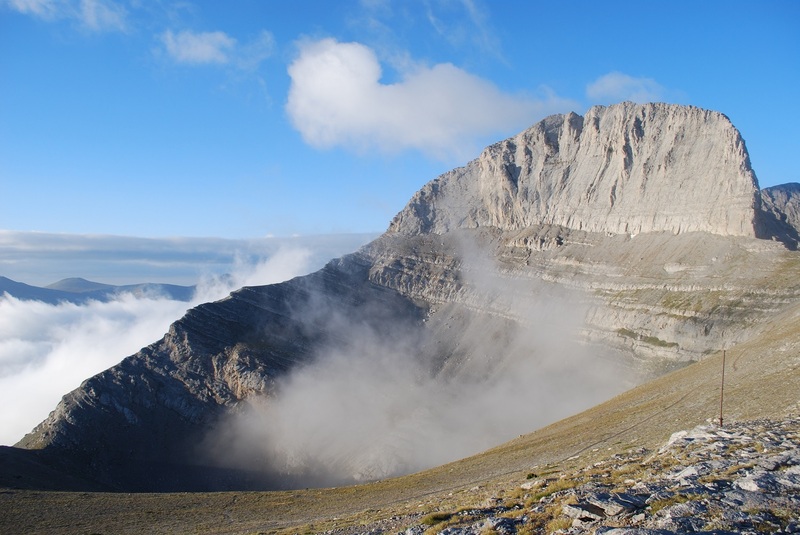 Let's work off that moussaka with a hike up to the most monumental of the Greek mountains - Mount Olympus. 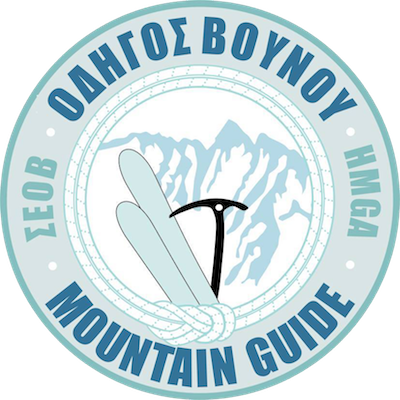 Known in Greek Mythology as the home to the Twelve Olympian gods, it is the highest mountain in Greece and owing to its specific microclimate, which is partly due to the short distance from the sea and the steep increase in height above sea level, it stands out for its great diversity in terrain, climate and vegetation. After driving to Litochoro and having a light lunch, we will start the ascent from the trailhead of Prionia, towards one of its refuges Spilios Agapitos, a well-run hut with superb views perched on a ledge behind an outcrop, where are we going to spend the night. Skolio, the second highest peak of Mt Olympus at 2911m. On the way Balkan Chamois could be seen high up among the broken crags, and magnificent birds of prey circling on the thermals. When we reach the top we will be rewarded by an outstanding panorama as we crest the ridge and discover the 500m cliffs of the Kazania chasm. Depending on the team skills and the weather conditions we can also climb Mytikas, a more technical summit at 2,918m, and once the Gods' meeting place. We will conclude our hike at the beautiful Plateau of the Muses, a rolling grassland surrounded by cliffs above and below and dwarfed by the extraordinary formation of Stefani, the throne of Zeus. 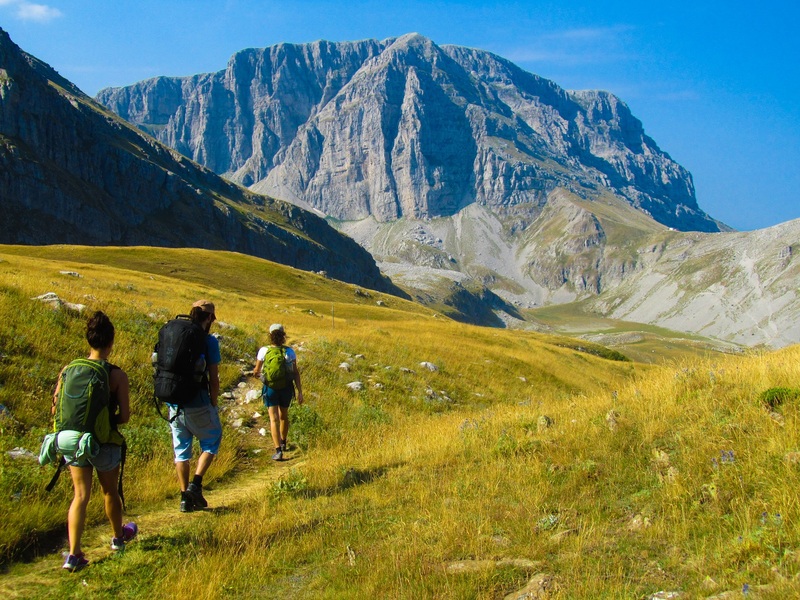 Mt Olympus area is a UNESCO Biosphere Reserve with four distinct vegetation zones hugely rich in flora, with 17,000 recorded plants, as well as a varied animal population. Today we will experience that, as we hike the well-maintained path from the Plateau of the Muses back to Prionia through beautiful forests of pine and beech. From there we drive towards Litochoro, a cheerful town at the foot of the dramatic Enipeas Gorge in the base of the mountain. 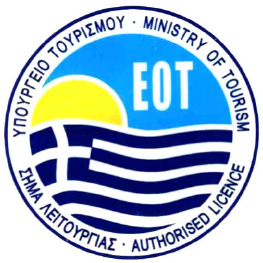 In the afternoon we can go for a refreshing dip at the nearby beach of Plaka and in the evening our Mt Olympus adventure will culminate with a festive dinner in one of the traditional restaurants of the town. On our way to Zagoria westop at the awe-aspiring Macedonian tombs of Vergina. We visit the monumental palace, lavishly decorated with mosaics and painted stuccoes, and the burial ground with more than 300 tumuli, some of which date from the 11th century B.C. 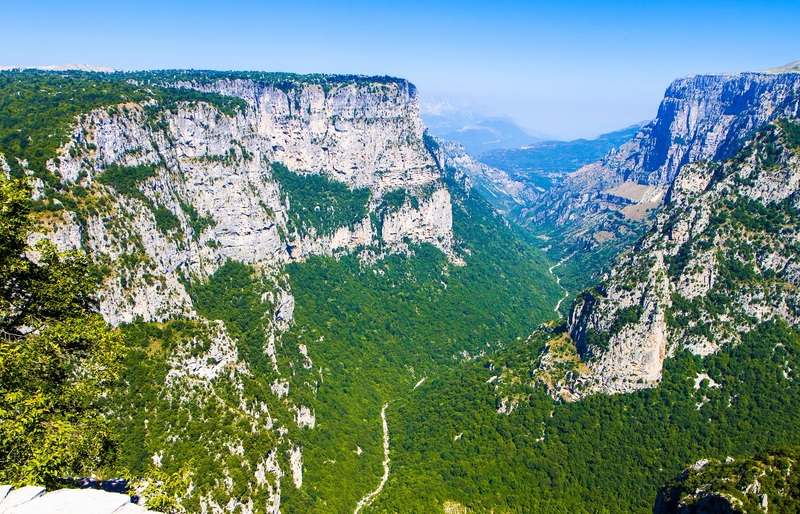 Forget Grand Canyon, the Vikos Gorge is the deepest worldwide. At least as impressive, as the famous American, but certainly very much greener and surrounded by monasteries, small villages, rivers and past history. 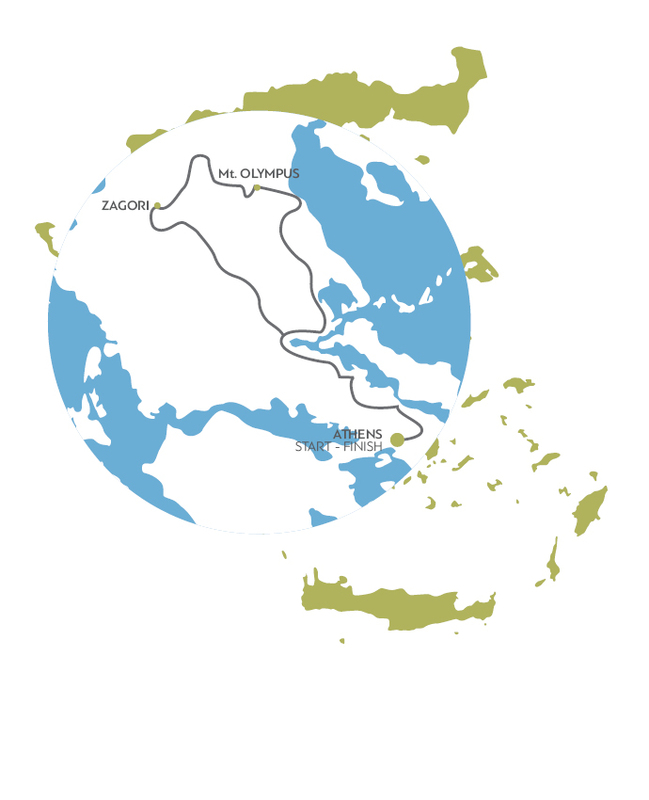 Due to its geological isolation and the absence of human presence, this part of Greece hasn`t changed in hundreds of years, in fact the modern world seems to have passed it by. 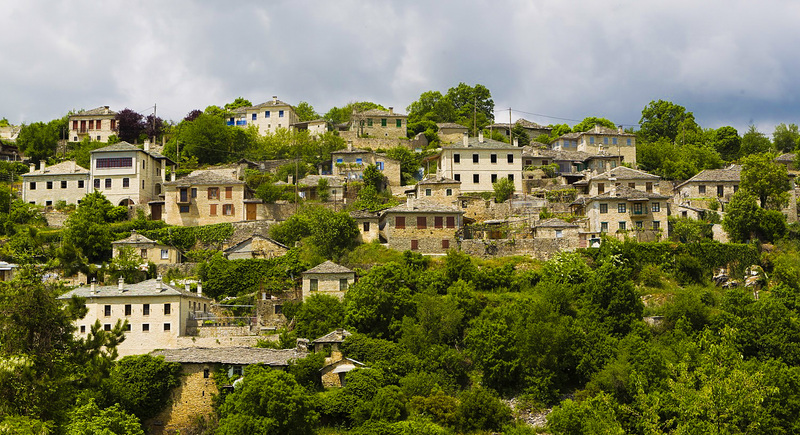 Today we start from Monodendri and we will hike first to Voidomatis springs and from there to the village of Mikro Papigo, a stunning village perched on the mountainside where all the houses are made of stone and are topped with slate roofs. 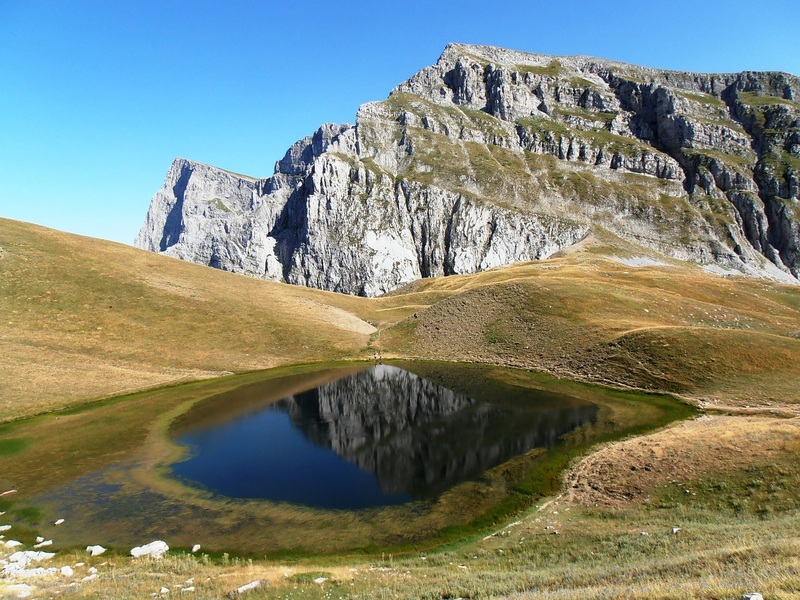 In one of the most beautiful alpine areas of the country, on the edge of a plateau on the mountain of Tymfi, there is probably the most fascinating Dragonlake in Greece, created 10,000 years ago due to the melting of the glacier. The hike to the lake starts from Mikro Papigo and after a steep ascent to Astraka refuge, we stop for lunch with stunning views to the surrounding mountains. From the hut we set off for a beautiful serene hike on a path that climbs steadily towards the Dragonlake. The lake itself sits at an altitude of 2,050m, and is a fantastic manifestation of geological history and current processes of nature. Today is a day for soaking up the pure pleasures of being in the truly great outdoors while we hike from our mountain refuge to Tymfi summit at 2,497m and from there to the village of Tsepelovo through alpine meadows filled with wild flowers. According to the legends of Sarakatsanei narrated by livestock farmers who grazed their flocks in the mountain meadows of Papigo, two dragons used to live at the Dragon Lakes of Smolikas and Tymfi, and having great enmity between them, they quarreled constantly. The dragon of Tymfi threw at his opponent giant logs and the dragon of Smolikas responded with white stones. This explains the fact that the limestone peaks that we are going to hike today are bare of vegetation. Ioannina the beautiful capital of the prefecture, is a city where history and tradition blend together in a mysterious way. Ioannina was under the Ottoman rule for almost 500 years, and Turkish influence has survived here more strongly than anywhere. Under the Turks the city flourished as a center of arts and crafts and no one had more impact on the town than the ruler Ali Pasha. In the morning, drive to Ioannina and discover the living history through a walking tour in the city's old citadel. After lunch we will depart to Athens for the farewell dinner. Breakfast is at your leisure at the hotel and following that, your trip with Tripin Adventures in Greece concludes. Transfer independently from our accommodation in Athens to the international airport for return flights home or continue exploring one of Europe’s oldest cities.